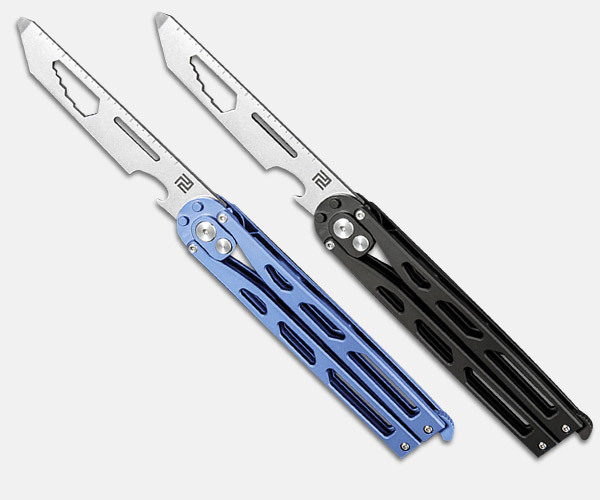 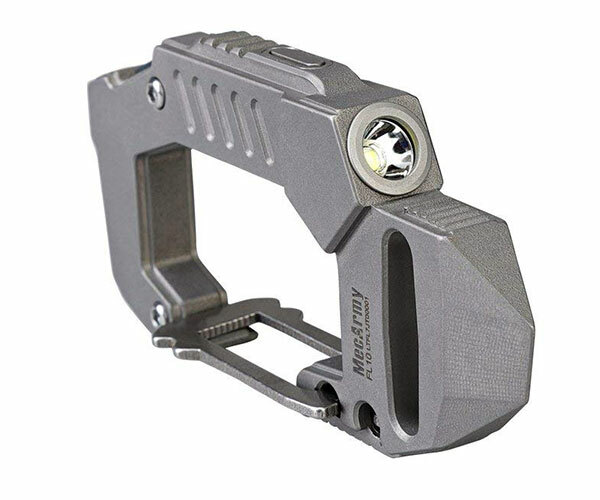 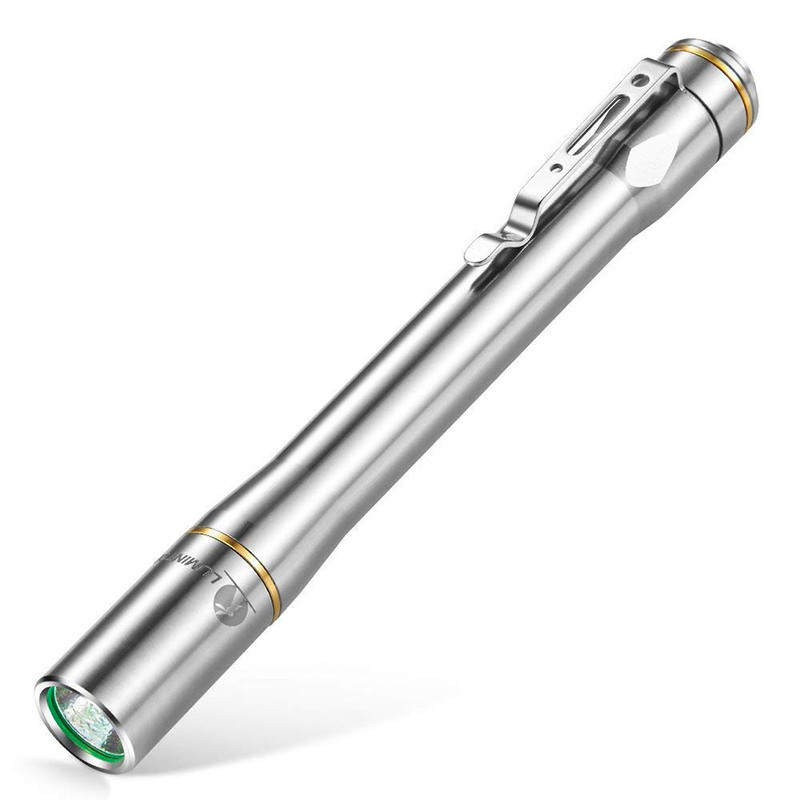 This pen-style pocket flashlight features a durable titanium alloy body with a military-grade hard-anodized finish. 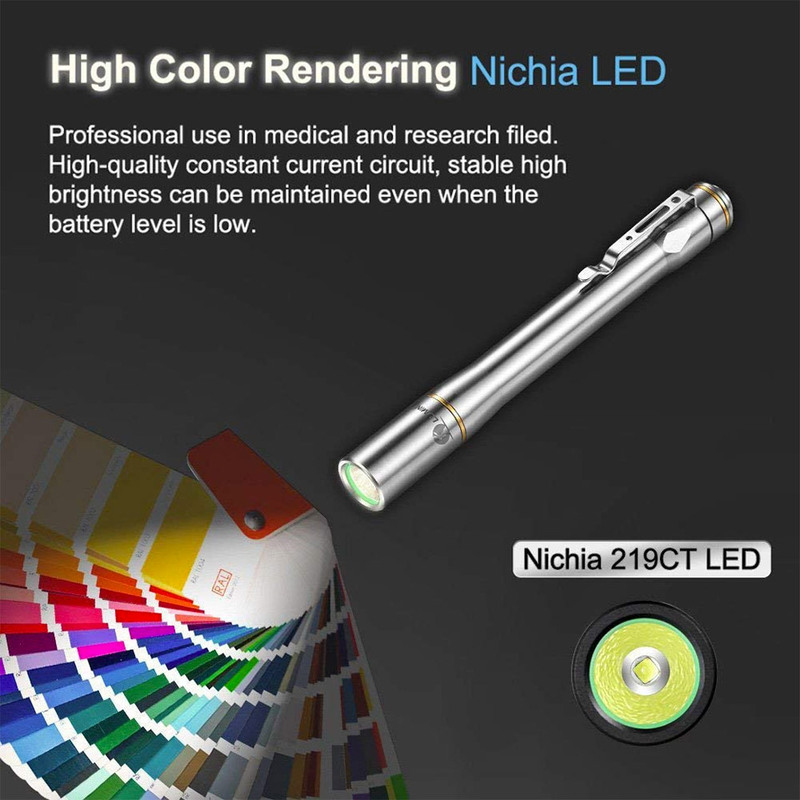 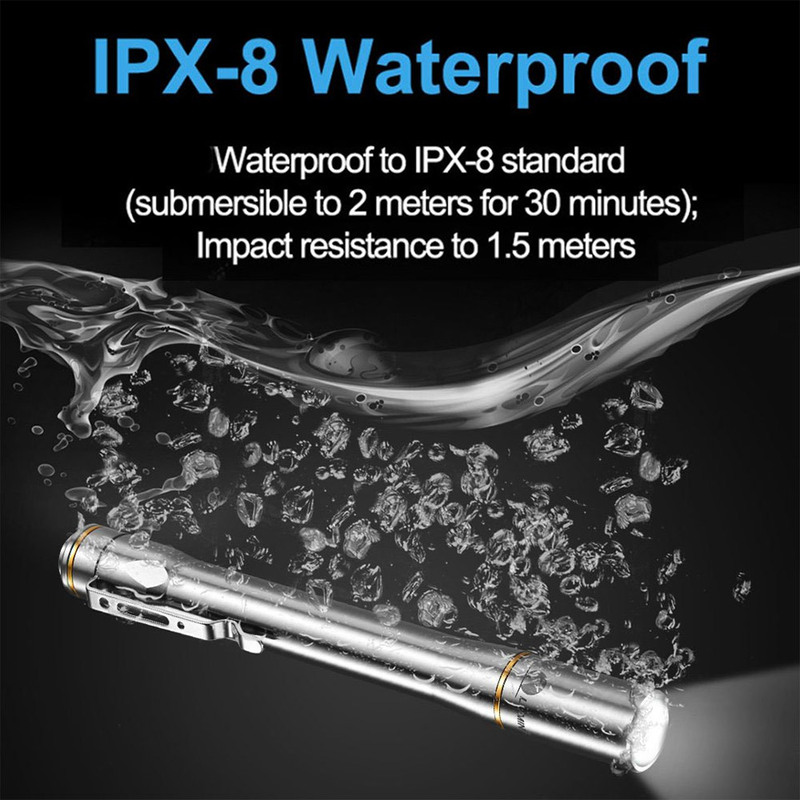 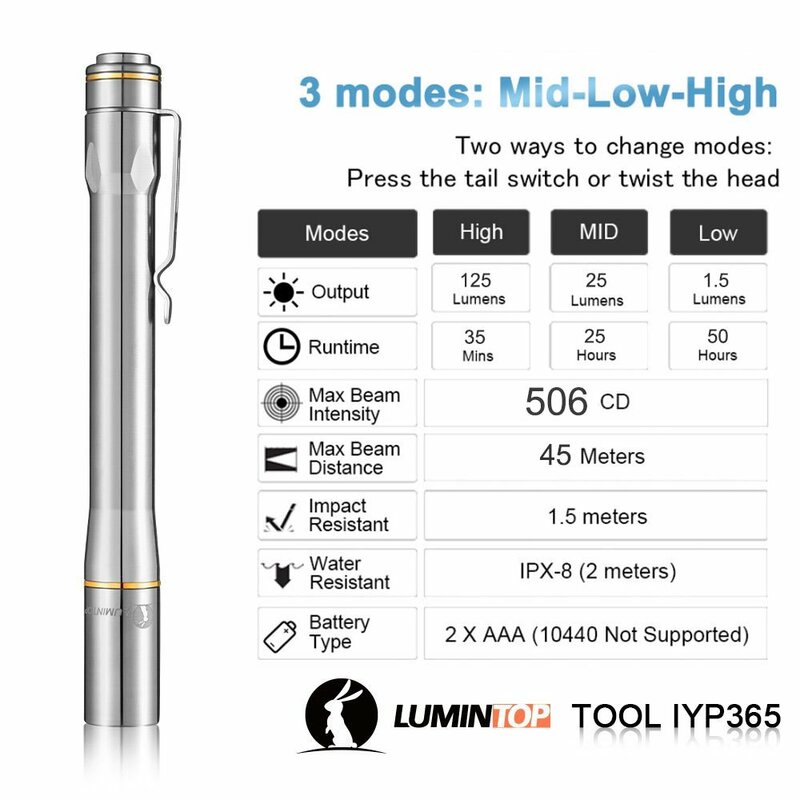 It’s IPX8-rated waterproof, and features a 125 lumen Nichi LED light source optimized for accurate color rendering. 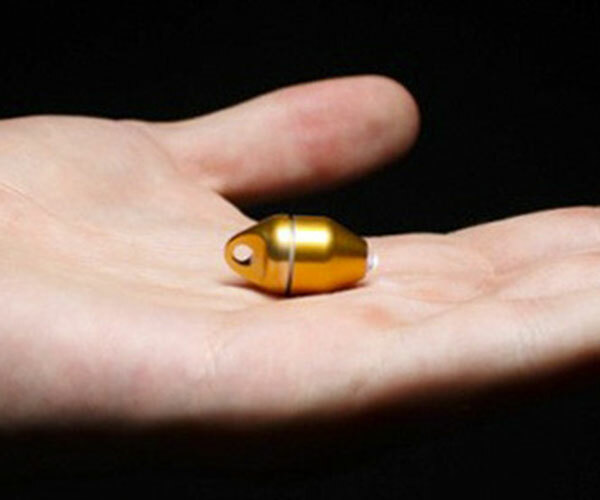 Runs on two AAA batteries.